All prices, treatments and information are correct at the time of posting this website and are subject to revision without notice. Deposits are required for some treatments. Courses are not transferable, and are valid for 6 months only. Cancellation Policy Please note 24 Hours notice is required for all cancellations, otherwise 50% of the total treatment price will be charged, if we are unable to re-sell the reserved treatment time. As a courtesy to other clients following your appointment, late arrivals will result in a reduction of treatment time. Please do not ask the impossible, we will endeavour to carry out what we can within the time slot allocated, or suggest a re-booking. All times stated include preparation of room and client: i.e. 5 minutes at the beginning and end of treatment. Please switch off mobile phones before & during your visit to the salon. We are aware that many of you may be confused as to which treatment best suites your specific requirements. We are of course, pleased to offer you up-to-date information and advice with a complimentary consultation in the strictest of confidence. Gift Vouchers can either be brought for specific treatments. 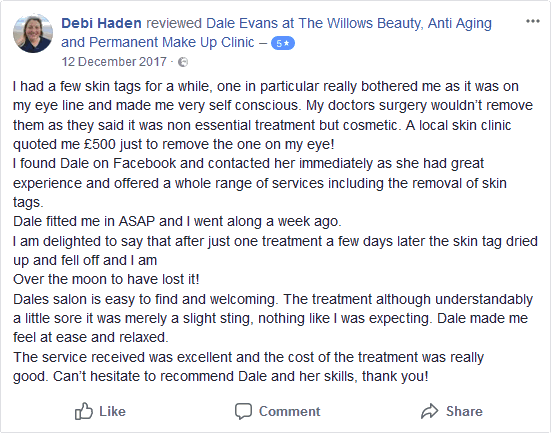 Treatment gift vouchers are valid for 12 months from the date of purchase and can be used on any beauty treatments or products at Dale Evans salon unless specified. There is no cash redemption. Cheque or cash. Dale Evans is not VAT registered. Food – Always allow at least 1 hour to digest your meals before having treatments. Alcohol – Never consume alcohol before any treatment. Do not have heat treatments or undertake exercise (e.g. sauna, sunbed, Jacuzzi, workout, or swim etc.) Less than 8 hours before or 24 hours after your wax. Avoid wearing “Best” underwear for Bikini wax. Avoid normal deodorants after under arm wax. All images, icons, text and other content on the site (“Content”), as well as the arrangement of the Content on the Website, is protected by copyright and other intellectual property rights. You are not granted any licence to use the Content other than to view it. Unless allowed by law, you shall not copy, republish, link to, download, transmit, modify, adapt, create derivative works based on, rent, lease, loan, sell, assign, distribute, display, perform, license, sublicense or reverse engineer the Website or any of the Content. While Dale Evans at the Willows tries to ensure that the Website is normally available 24 hours a day, Dale Evans at the Willows shall not be liable if for any reason the Website is unavailable at any time or for any period. Access to the Website may be suspended temporarily and without notice in the case of system failure, maintenance or repair or for reasons beyond the control of Dale Evans at the Willows. Links to third party websites on the Website are provided solely for your convenience. If you use these links, you leave the Website. Dale Evans at the Willows has not reviewed all of these third party websites and does not control and is not responsible for these websites or their content or availability. Dale Evans at the Willows therefore does not endorse or make any representations about them, or any material found there, or any results that may be obtained from using them. If you decide to access any of the third party websites linked to the Website, you do so entirely at your own risk. Dale Evans at the Willows expressly reserves the right to revoke the right granted in clause 4.2 for breach of these terms and to take any action it deems appropriate. While Dale Evans at the Willows tries to ensure that the information on the Website is correct, Dale Evans at the Willows does not warrant the accuracy and completeness of the material on the Website. 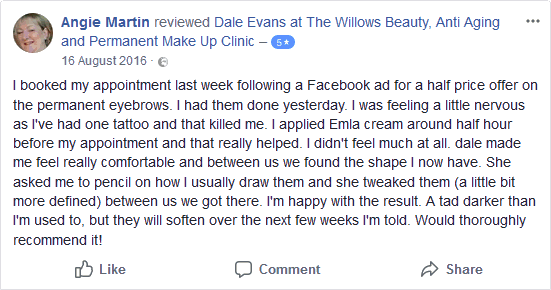 Dale Evans at the Willows may make changes to the material on the Website, or to the products and prices described in it, at any time without notice. 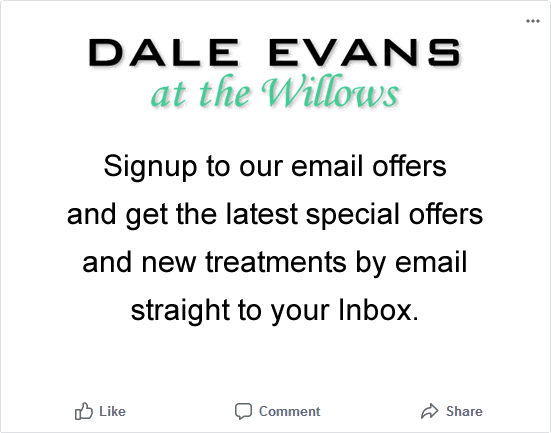 The material on the Website may be out of date, and Dale Evans at the Willows makes no commitment to update such material. breach of any implied condition as to title or quiet enjoyment.